R. Preston McAfee, Ph.D., corporate vice president and chief economist of Microsoft, is an economist who has worked extensively in pricing, auctions, antitrust, business strategy, market design, computational advertising, and machine learning applied to exchanges. He is the author of over 100 refereed articles, seven patents, and three books. 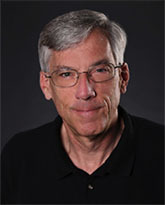 Preston received a BA in Economics from the University of Florida in 1976, an MS in Mathematics and in Economics in 1978, and a Ph.D. in Economics in 1980 from Purdue University. He has taught at the University of Western Ontario, the University of Texas, MIT, the University of Chicago, and Caltech, where he was executive officer for the social sciences. He joined Yahoo in 2007 as chief economist, moved to Google in 2012, and joined Microsoft as CVP and chief economist in 2014. Working with colleague John McMillan in the 1980s, Preston developed research that showed how auctions could be designed to improve government procurement and sales. This theoretical and empirical research was used in the 1994-95 sales of spectrum (radio frequencies) by the FCC, which netted $20B for the government. The auction design that emerged has been used around the world, in the sale of over $100B in spectrum. For this work, Preston was awarded a Golden Goose award in 2014. In 1995, McAfee, McMillan, and Stanford professors Paul Milgrom and Robert Wilson formed a company, Market Design Inc., that provided auction advice and expertise in many countries. This company has branched out from spectrum to serve other markets, notably electricity. Preston has done extensive work in antitrust and testified in the mergers of Exxon and Mobil, BP and Arco, and PeopleSoft and Oracle. In addition, he testified in the FTC v. Rambus. In 2006, Preston finished Introduction to Economic Analysis, a freely available textbook covering both introductory and intermediate microeconomics. He won the Association of Research Libraries’ SParc Innovator award in 2009. You can find additional information here: http://vita.mcafee.cc/.